Jay Norwood "Ding" Darling, who won two Pulitzer prizes for his editorial cartoons, was one of America's true conservation pioneers. 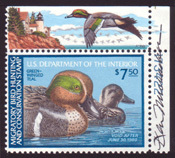 Darling's love of the outdoors and his passion to preserve it is well documented, but conservationists now have the chance to learn more about the man who conceived the idea of the federal duck stamp program and drew its first design. 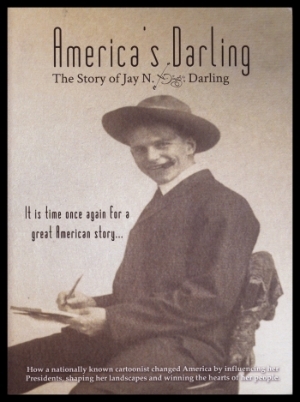 Darling's great-great-grandson, Chris Steffen, hosts America's Darling, a DVD chronicling his ancestor's illustrious career. Click on the video below for a preview of this absorbing documentary. 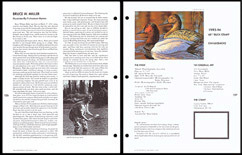 White Ace Duck Pages: Pages hold single stamps and are 3-hole punched, loose leaf, with colored and decorative borders. Nice, heavy white stock. 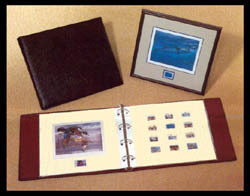 Artsafe Print Album: Padded burgundy leather portfolio, 18.75" x 14.25" x 3"; Comes with 5 acid-free polyester envelope pages which will accomodate and store 20 prints; Mat board with 7.75" x 10" opening accomodates the most popular duck print sizes. 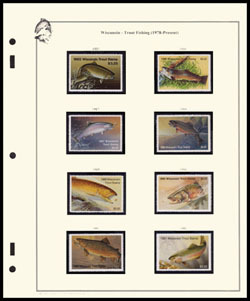 Fishing Stamp Album: Scott binder compatible pages. 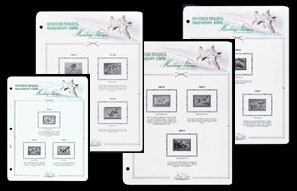 Over 200 pages and 1,500 spaces through 2000, pictorial issues, by Howard Richoux and Bob Dumaine. 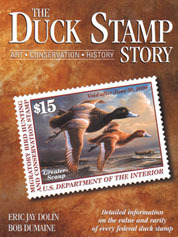 For more information on The Duck Stamp Story, click here. 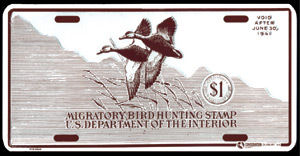 We have purchased a huge holding of worldwide duck stamps, and are pleased to offer for UNDER FACE VALUE! Among the 30 different stamps are First of Nation issues from Australia, Belgium, Denmark, Ireland, Italy, Mexico, New Zealand, Russia, Sweden, and the United Kingdom. 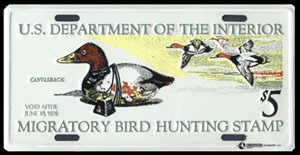 Buy an entire set of ducks and save over 50% catalog! 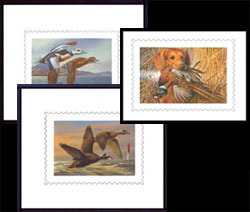 These are very special, one-of-a-kind stamps on which the artist of the stamp has personally drawn or painted a dog, decoy, lighthouse, and/or duck. 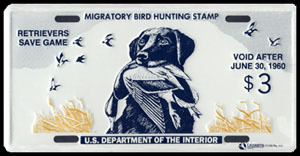 The artwork is obatined by commissioning the artist for their work, and generally the stamps take time to complete. All are either signed or initialed by the artist. 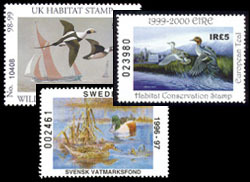 The photographed stamps are examples of some that are available. Since no two are alike, you satisfaction is guaranteed. This is a great way to add that special touch to your collection. 45 different, mostly duck, Stamp Print Proofs, some conservation. 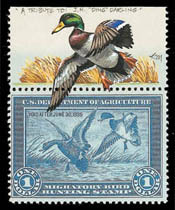 On card, most do not show stamp denomination. Some say "sample." Very interesting group. Copyright � 1999-2018 Sam Houston Duck Co. All rights reserved.